This updo is possibly my most favorite. Super easy and simple to do. Gives a touch of elegance and fun. All right, so what you’re going to do first is section the pieces framing the face away from the rest of the hair. Then section another area starting 4 inches from the nape of the neck, (this is going to be your base). The crown will be put in an elastic after being volumized (teased). 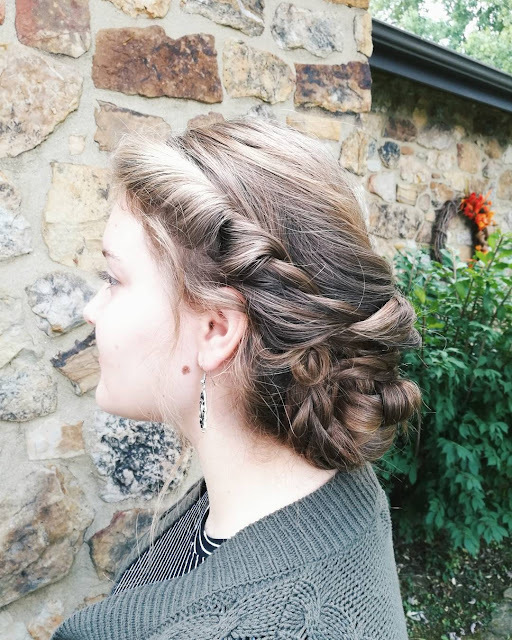 Braid your base section with a braid of your choice, I chose to do a dutch braid. 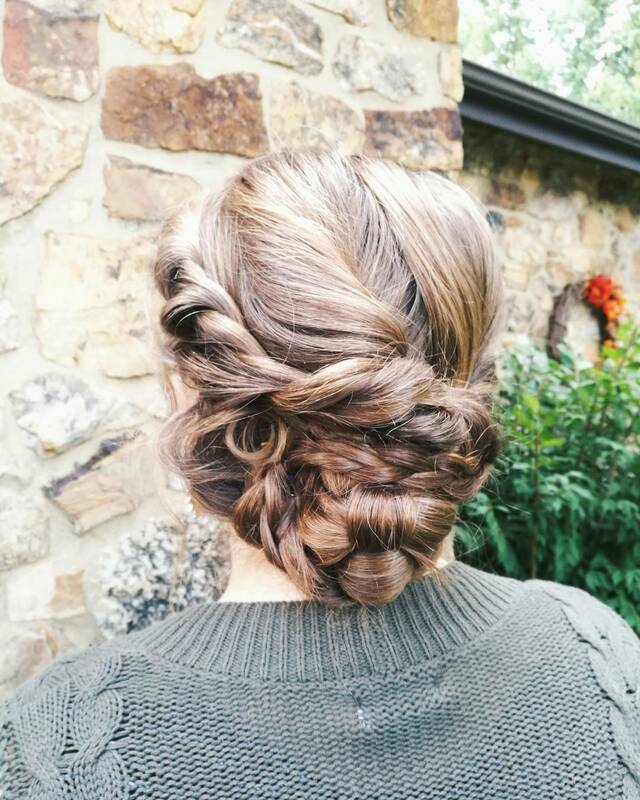 Wrap the braid and the strands coming from your elastic into a bun by twirling it in circles and then pinning it into place with bobby pins. Determine what your desired look will be and style the pieces framing the face by draping them towards the back and pinning them. I chose to do a simple rope braid for this look and left out a few little strands to curl.